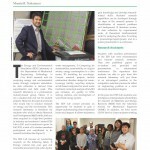 Energy and Environmental Simulation (EES) Lab is Professor Masato R. Nakamura’s research group at Mechanical Engineering Department at New York City College of Technology (City Tech), City University of New York (CUNY). 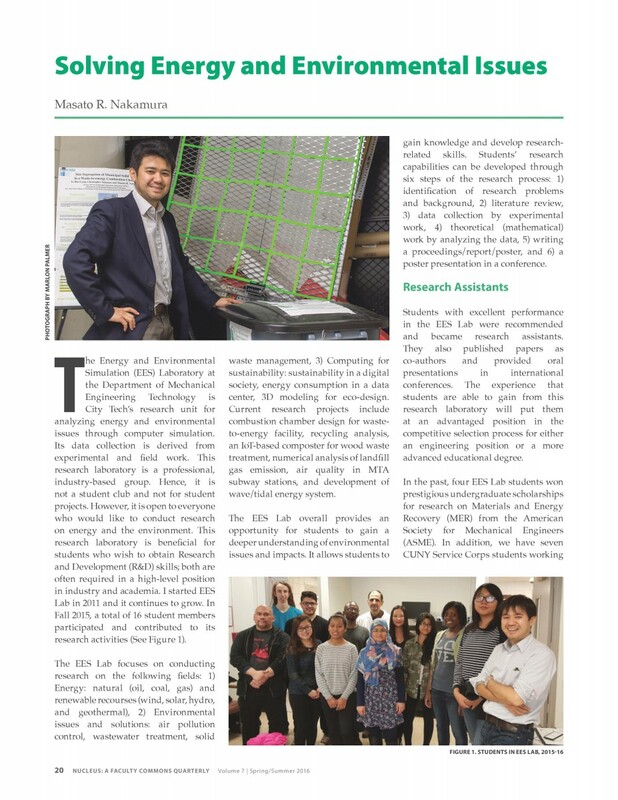 This Lab is a research group, not a club, but opens to everyone who would like to conduct research on energy, environmental engineering (including ecodesign), and computing for sustainability. 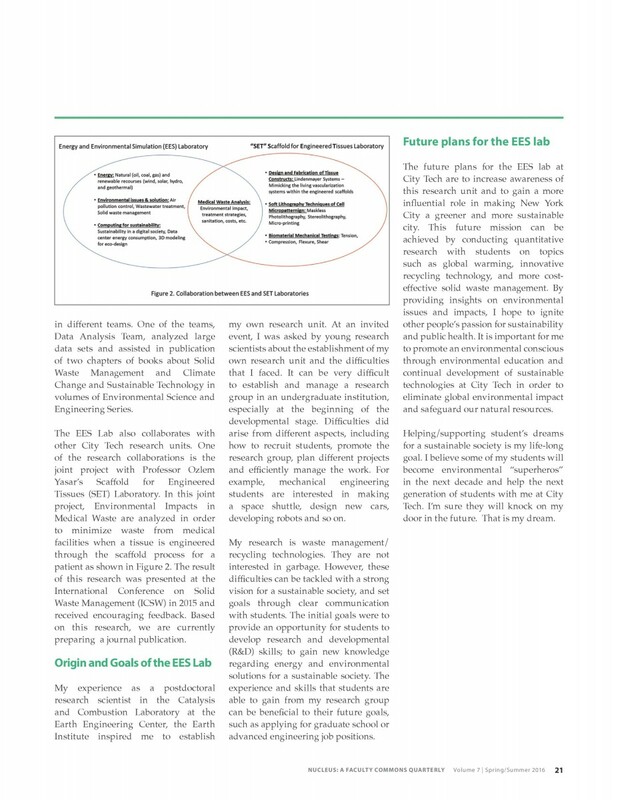 Also, it’s for people who wish to obtain research and development (R&D) skills required in a higher-level position in the industry and academia. 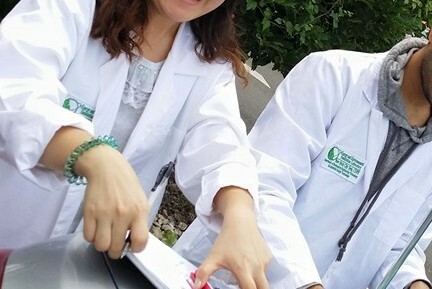 Excellent students can be recommended to become research assistants in order to publish a paper as a co-author, and have an oral presentation in an international conference. These research activities make your resume strong (R&D skills, publication, professional presentation) and will be a huge advantage for finding an engineering position or being accepted (or transfer) to other graduate schools for obtaining a master or doctoral degree. 1) What kinds of research fields are you interested in? 2) How many hours per week can you spend for conducting research? 3) Describe your skills/knowledge of math, physics, computers, and experimental work (lab hands-on skills). 4) After finishing your degree program, what kind of industry or graduate school program you’d like to go? 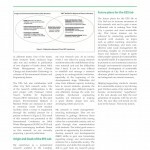 6) an oral or poster presentation at a conference. 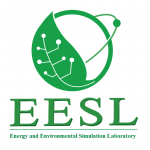 EESL focuses on three research fields: 1) energy, 2) environmental engineering, and 3) Computing for Sustainability. 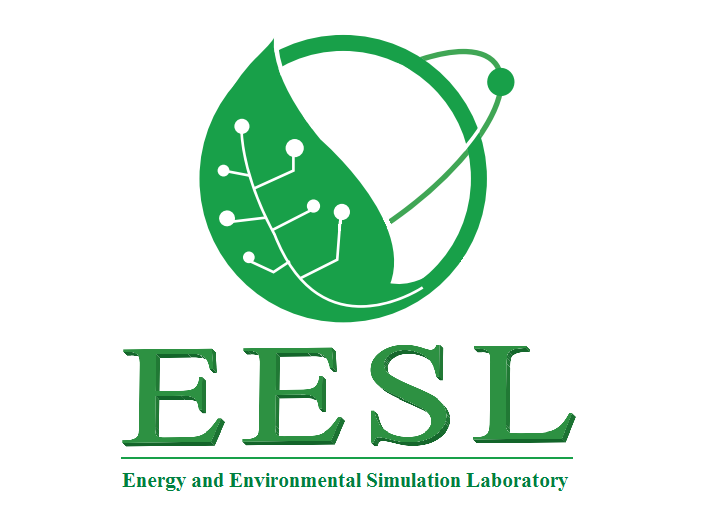 1) Energy: Energy research in EESL includes a wide variety of topics. 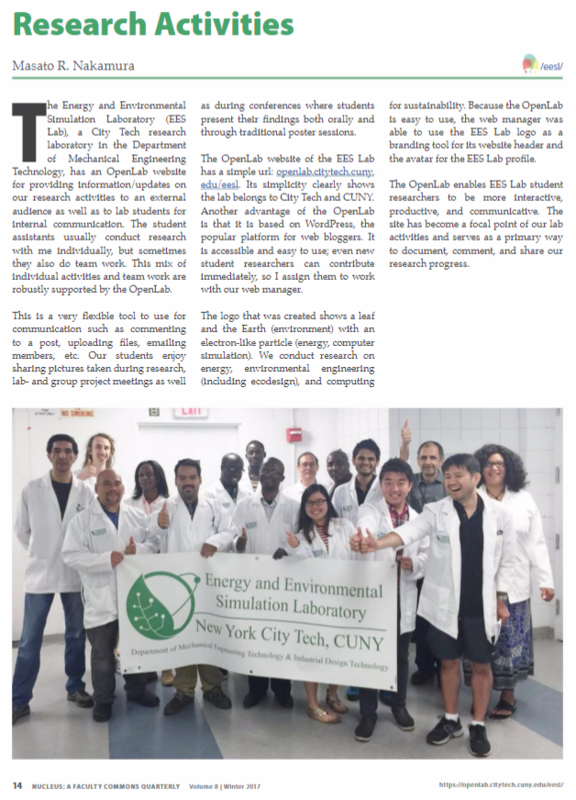 Students have an Openlab web page of each research project required to maintain research contents, update new data, communicate with Prof. Nakamura and other student researchers. CUNY offers the Collaborative Institutional Training Initiative’s (CITI) research compliance courses to fulfill CUNY’s educational requirements. 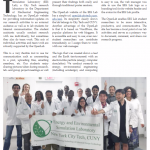 All CUNY faculty members, postdoctoral scholars, graduate and undergraduate students involved in research are required to complete the CITI Responsible Conduct of Research (RCR) training within six weeks of initiating their research. RCR training certificate will be valid for five years. CUNY researchers are required to re-take the CITI RCR training course every five years. If you need, please order and purchase a lab coat. 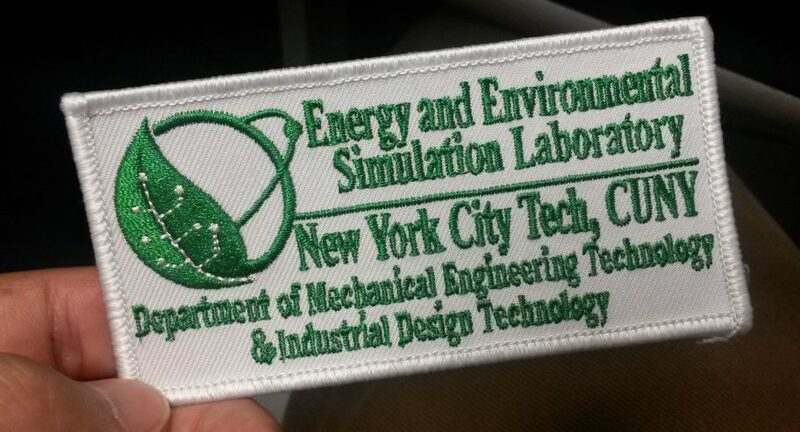 In addition to the cost of a lab coat, you can buy an EESL patch ($3) ironed to the coat.